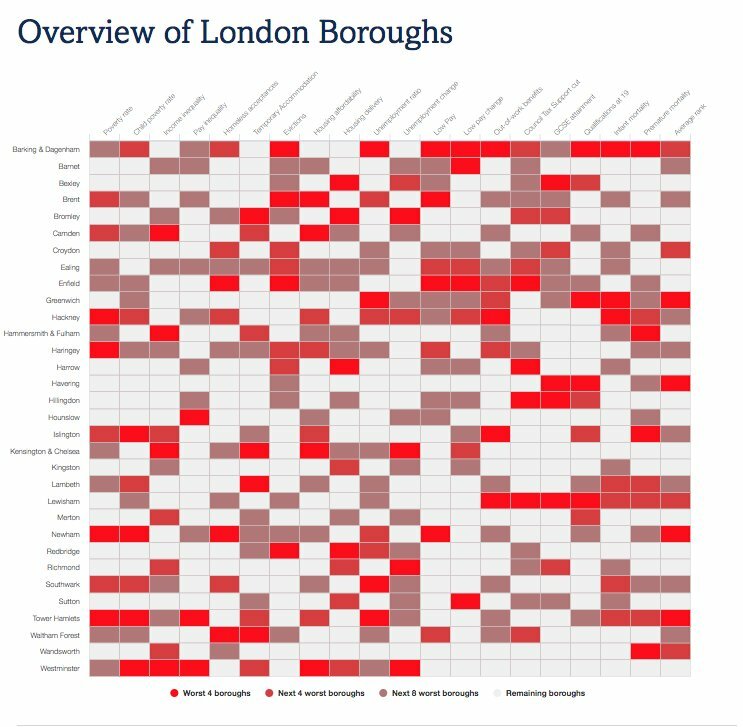 The data is for London and is a three year average for 2013/14 to 2015/16. of the in-work poor are families with all adults working, and at least one working full-time. This group is still the least likely to be in poverty. 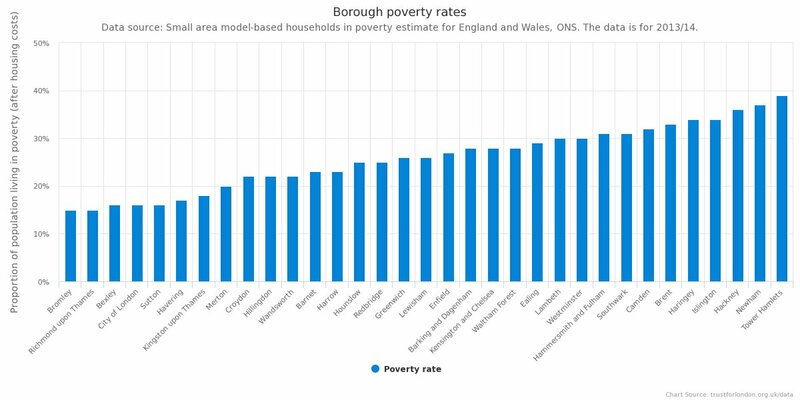 where the only work carried out is part-time are the most likely to be in poverty, although families with one full-time employee and one non-working adult also have high poverty rates. of working families in poverty increased sharply, up to around 2008/09. Increases since then have been more muted. This indicator looks at the proportion of people in poverty by the family’s work status. The number of hours worked by members of a family is important for determining whether they are likely to be in poverty or not. Families in which all adults were working full time had the lowest proportion in poverty at 8%. In contrast, those with only part-time employees in the family had the highest rate, with 45% in those families in poverty. Families with a self-employed member also had a relatively high poverty risk at 28%. Over the last 10 years, the proportion of people in every working family type in poverty has increased. It has increased most for those with one full-time employee and one adult not working (six percentage points) and families with a self-employed adult (five percentage points). There has been less change in the last five years, with most rates at or increasing only slightly compared with earlier years. As well as the poverty rates for these different working family types changing over time, their relative share in London has also changed. The share of all London families that have all adults working and at least one working full-time has not yet recovered to 40%, its highest rate around a decade ago. Other working family types have grown consistently, mostly displacing workless families. In terms of which of these groups is biggest within the in-work poor, it tends to be families with adults working relatively few hours. 31% of people in in-work poverty are in a family with only part-time earners, and a further 25% are in families with one adult working full-time, and one not working. 23% of the in-work poor are in families with all adults working and at least one full-time (17% with all adults full-time, 6% with one full-time and one part-time). The remainder are self-employed families, at 21% of those in in-work poverty.